The OMERO clients are cross-platform. To run on your computer they require Java 1.6 or higher to be installed. This can easily be installed from http://java.com/en if it is not already included in your OS. The OMERO.insight client gets all of its information from a remote OMERO.server — the location of which is specified at login. Since this connection utilises a standard network connection, the client can be run anytime the user is connected to the internet. About OMERO introduces OMERO for new users, while the Features List provides an overview of the platform features with those that are new for OMERO 5 highlighted (also see What’s new for OMERO 5). *NEW* Our partners within the OME consortium are working on integrating additional functions and modules with OMERO. 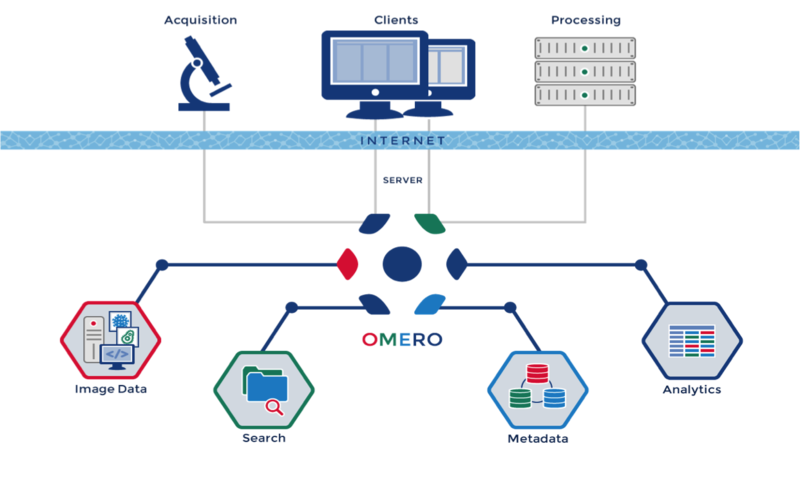 See the Partner Projects page for details of the latest extensions which could help OMERO meet your research needs more fully. *NEW* You can also extend the functionality of OMERO using OMERO.scripts, our version of plugins. Guides to some of the scripts which ship with OMERO releases are already provided, but you can also check out our Script Sharing page to find extra ones. *NEW* Workflow-based user assistance guides are provided on our help website. Extended OMERO.web and guides to other OMERO applications will be coming here soon.